Hazrat Rabi’a al-Adawiyya al-Qaysiyya (ra) also known as Rabi’ah al-Basri was a Sufi saint from Iraq and is considered to be the first female Sufi Saint of Islam, the first in a long line of female Sufi mystics. She lived during the 8th Century and was born in Basra, a seaport in southern Iraq where she spent the vast majority of her life. Much of her early life is narrated by Hazrat Fariduddin Attar (ra), a later Sufi saint and poet, who used earlier sources. She did not leave any written works herself. Hazrat Rabia Basri (ra) is remembered to this day as one of the greatest saints of the 8th century and is remembered with devotion and affection for her faith, piety and patience. The great woman mystic, saint and Qalandar of Islam had conquered herself (Nafs) through devotion, meditation, contemplation, patience (Sabr) as well as fear and trust in God. (Tawwakul). Hazrat Rabia Basri (ra) was constantly absorbed in the thought of God and had reached the pinnacle of mystic path i.e Fina-Fillah. And so Hazrat Rabia’s (ra) father brought home the gold and spent it. As she was immersed in prayer, a divine light enveloped around her. After witnessing this incident, her master rose and pondered to himself, ‘Such a woman cannot be confined to slavery.’ In the morning he summoned Hazrat Rabia (ra) and set her free, remarking, ‘If you remain with us, we shall all serve you; if you do not wish this to happen, go where you will.’ Hazrat Rabia (ra) asked for her leave and departed. 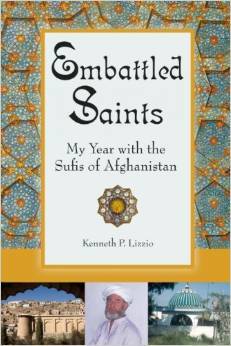 She subsequently devoted herself to various works of piety. Within every twenty-four hour period, she was said to perform a thousand rak’ats of the ritual prayer. She made a cell of seclusion for herself and occupied herself solely with acts of devotion. In the end, she set out on the pilgrimage to Makkah and retired to the desert. Through losing all my attainment in Him. she replied. How do you know Him, then? Hazrat Hasan (ra) inquired. You know ‘how’, she answered. I know without ‘how’. Hazrat Rabia (ra)’s nights were occupied in sleepless vigilance, and her days in the worship of God. It is said that she was deeply absorbed in grief and wept exceedingly. “ When I entered Hazrat Rabia’s (ra) house, I perceived her face radiant with a brilliant sheen from her constant crying. A man sat near her, reciting a verse from the Koran concerning Hellfire, whereupon she burst out in tears, then she cried out and fainted. “ Deep within my breast lies the reason for my bereavement and pain. This ailment no doctor can remedy. The sole cure of this pain is Union with the Friend, and by mourning I hope that perhaps hereafter I will reach what I seek. Though I was not originally conceived in that Divine Grief, I attempt to simulate the state of those who are truly afflicted with Divine Love, that I may be deemed no less than they. There is no unanimity among scholars concerning the date of Hazrat Rabia’ (ra) death. Various historians offer differing accounts. 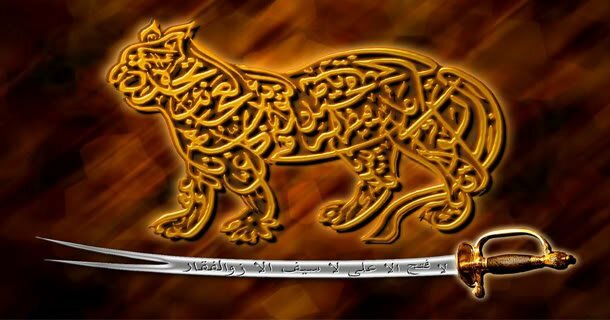 The date 135 AH/753 AD is cited by Ibn al-Jawzi in the Shodhur al-‘oqud, Abul-Mahasen Taghriberdi in the Al-Nojum al-zahera, Mortadha Zobaydi in the Ittehaf al-sadat al amottaqin, Ebn al- Molqan in the Tabaqat al-Awliya, and Ebn ‘Emad Hanbali in the Shadharat al-dhahab. According to Dhahabi and Abdur-Ra’uf Monawi in the Tabaqat al-Awliya, Hazrat Rabia (ra) passed away in 180 AH/ 796 AD. Ebn Khallekan and Ebn Shaker al Kotobi in their biographical histories, and ‘Emad al-Din Abol-Fada’ Esma’il Ebn ‘Omar Ebn Kathir al-Qoraishi al- Demashqi (d.1373) in his book al-Bedayah wal-nahaya, put her death date as 185 AH/801 AD. The latter is also cited for Hazrat Rabia’s (ra) death by Dara Shokuh in the Safinat al-Awliya. Yusuf Ali: O soul who is at rest, return to thy Lord, well-pleased (with Him), well-pleasing (Him). So enter among My servants, and enter My garden. Nothing else was heard. The Sheikhs then entered and found that she had passed on. “Whatever became of ‘Abda, Abu Kalab’s daughter?” ‘Abda inquired. “And of Abu Malek Zaygam,” ‘Abda continued, “whatever became of him?” Hazrat Rabia (ra) replied, “He makes pilgrimage to God, the Exalted, whenever he wishes.” ‘Abdah further inquired concerning Bashir Ebn Mansur. 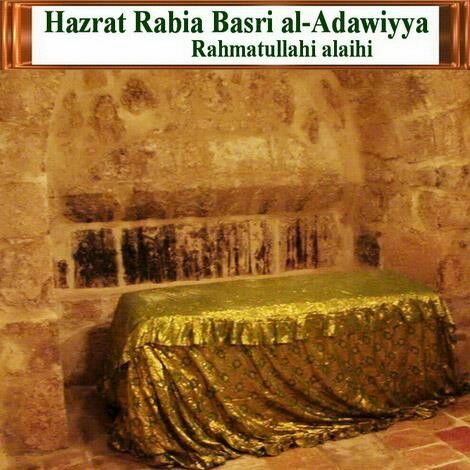 Some seem to have confused the grave of Hazrat Rabia (ra) of Syria with that of Hazrat Rabia al-‘Adawiya of Basra (ra). Hazrat Rabia’s (ra) grave is sometimes said to be at the top of the Mount of Olives in Jerusalem. This, however, is incorrect. Hazrat Rabia al-‘Adawiya’s (ra) tomb is actually in Basra.